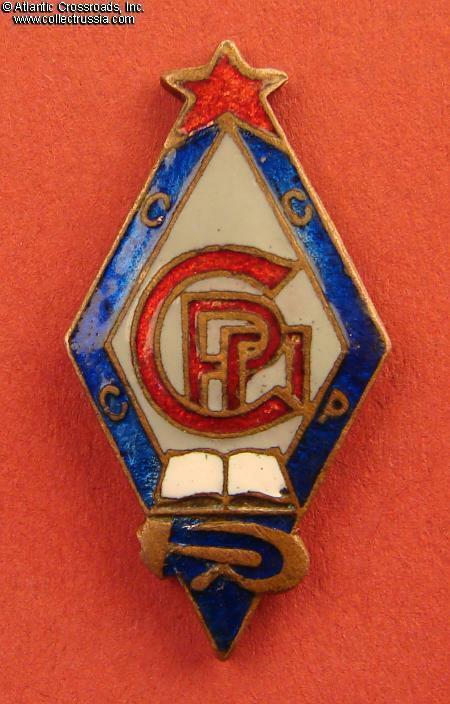 Trade Union of Education, membership badge, Type 5, circa late 1920s - early 30s. 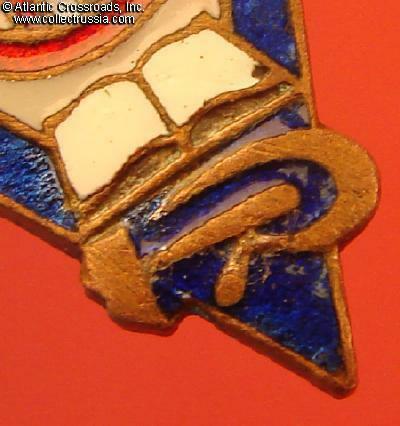 Brass, enamels. Miniature diamond-shaped version, measuring 30.4 x 15.8 mm. Well proportioned design influenced by Constructivist style, still popular in those years. 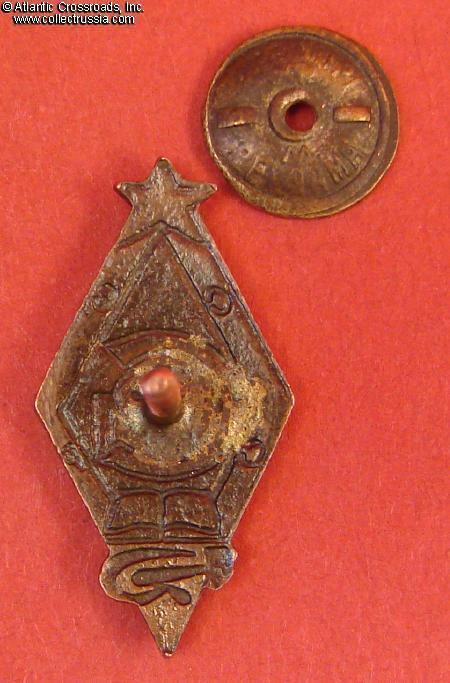 Note a very unusual, compressed depiction of the hammer and sickle emblem, at the bottom. The red cipher in the centre is Cyrillic acronym of the Trade Union, "SRP". The small letters in the blue border are "SSSR" (USSR). In excellent condition. The enamel is exceptionally well preserved, showing only a few tiny contact marks, no chips or flaking (the small area not covered by white enamel in the lower right corner of the book is manufacturer's flaw, not a chip). Attractive dark patina to brass. 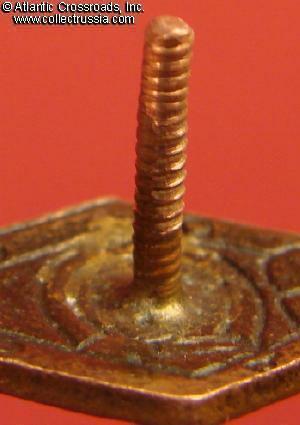 The copper screw post is full length, over 11 mm. The screw plate maker marked "SoyuzTorg. M. Reklama" is of the period and although not necessary original to the badge, fits well. /See "Avers 8", p 277, fig. 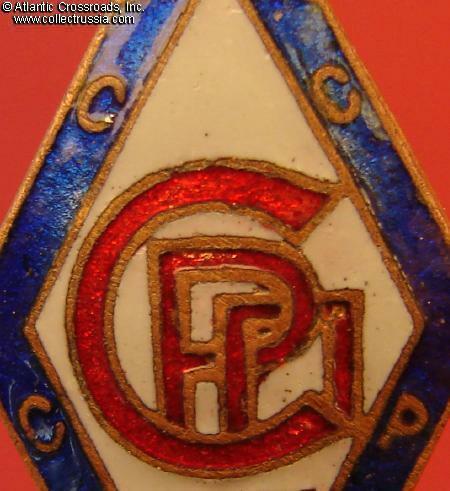 1355.c, also "Breast Badges of the USSR of the Era of Labor Victories, 1920-1940", p. 201, bottom/.